There are thousands of creative WordPress theme available. You just need to pick up the right one which will suits your project best. Finding a proper creative theme is not so difficult. For helping you we’ve collected some awesome WordPress creative themes which can be used for business, corporate, real estate, creative agency, individual, portfolio, photography & many more. If you are a creative individual or agency & want a WordPress theme for creatively intruding your products & services then you landed in the right place. Here you will find various multipurpose & niche specific WordPress themes that are designed & developed creativity & modern trends in mind. These themes have excellent design & modern technology integration. From showcasing portfolios to e-commerce, each theme can handle these kind of features nicely, especially multi-purpose themes. Maximum of the themes below come with ready to use demos, so you can get your project started instantly by installing one of them. Not only that, you will get some premium extensions such as revolution slider ($18), visual composer ($33), layer slider ($19), essential grid ($24) & much more. These plugins are powerful & will add extra awesome features into your site. You don’t have to know about coding, some theme supports drag & drop interface which means that you can create your own unique design pages visually. You will have lot of pre-made shortcodes & content blocks which let you implement different kind of features like responsive columns, buttons, notifications, tabs, accordions & more. Each theme integrated with theme option panel. Option panel is a place where you will find maximum of the theme configuration settings. You can change theme colors, typography, layout options, header options & many more. If you want to sell something through your website, you can do that easily as well by using WooCommerce plugin. Maximum of the creative theme is perfectly integrated with WooCommerce & offers custom design shop pages. Your creative portfolios deserve a stunning & modern look, for that some theme offers multiple style portfolio showcasing options with filterable & pop-up preview gallery. So your visitors & clients can view them seamlessly. X is hugely popular WordPress theme that offers excellent tons of features. It builds for multipurpose uses & included with lot of ready-to-use demos. These demos will help you getting your project live immediately by installing demo xml data. It’s always recommended that use demo content because theme authors are regularly including new demos by researching different niches. Creating pages from scratch can take huge time, but you can get your site over online within 5 minutes by using those data. X included with 20 fantastic plugins which will add more power to your site. All these plugins are free with X. Not only that, it provides two drag & drop page builder option such as Cornerstone & visual composer. Both offer backend & frontend content editing feature. You don’t have to know any coding knowledge for creating professional pages. These builders come with lot of pre-made components. You can drag & drop your desire component into your layouts in order to create your own design pages. The customization limitation is unlimited. X provides extensive layout concepts that can fit any niche site. X is fully responsive & support high regulation retina screens. Your website will be looking awesome on every devices. You are not limited with multi-page layouts, you can even create onepage scrolling website. Do you need forum integration into your site? If yes then no worries, X supports bbPress perfectly, you can setup bbPress forum by just one-click. BuddyPress is the great solution for integrating social networks within WordPress sites & X supports that very well also. Creating gallery will be extremely easy because this theme included with the premium envira gallery plugin which offers easy to use admin panel within the WordPress dashboard from where you can create unlimited beautiful galleries with lightbox integration. Minimal design concepts are getting huge popularity day by day. Here is another awesome multi-purpose theme that comes with clean, minimal, modern & creative design. Every page element looks excellent & pixel perfect. If you like to create minimal design website for your project where you will want to display portfolios & other contents clearly then you should check out this theme. It offers lots of ways to showcase artworks. If you don’t have too much time for creating pages from scratch you can use the pre-made demos. How many people are using Stockholm doesn’t matter, you will have your own unique design. Stockholm is implemented 6 header versions which through you will be able to introduce your business uniquely. If you need to create any extra pages which not found in the pre-demos then you always can use the visual drag & drop page builder which comes with 80+ excellent page building components. You don’t need to have any coding experience. The drag & drop interface will walk you through the whole page building process. You just need to choose the right layout concept from your theme option & page option settings. Yes it integrated with easy to use option panel where all your theme configuration setting will be available. Creating online shop with this theme will be extremely easy. Because it integrated with WooCommerce perfectly. All the pages that you will need are included with custom design. Monstroid is a multipurpose WordPress theme which lets you create almost any kind of website. It comes with four different design concepts like flat, material, dark & minimal. It packed with extensive layout options which will help you to create unique website. Monstroid theme option is developed using the Cherry framework. Here you will find all the theme setting options that you will need while setting up your website. It’s fully translatable, you can turn your website into any languages by using the WPML plugin. Monstroid has built-in Google analytics & Google fonts. So changing the default typography will be easier for you. bbPress is a forum software which lets users to implement a complete forum functionality into WordPress powered sites & this theme is perfectly integrated with it. Not only that, if you ever want to add a social network within your site you can do that as well by using the BudyPress plugin which is also compatible with Monstroid. You will get seven ready-to-use home page layouts which you can use to get started your business over online immediately. Do you have any products or services to sell? If yes then you will be able to selling your stuffs easily. WooCommerce is a WordPress plugin that provides all the necessary functionalities & options for easily managing online stores. Without having any advance knowledge anyone can manage their shop using its features. Monstroid perfectly integrated with WooCommerce. Every company or startup wants to showcase their excellent portfolios for impressing their clients & customers. You might also have some right? The filterable portfolio gallery lets you do that job fantastically. Divi is another hugely popular WordPress theme that was developed by ElegantThemes. It provides custom institutive drag & drop page builder which lets you create unique & modern design pages on fly. Tons of shortcodes you will find in this theme. These are really important especially for implementing various useful specific contents such as team members, on scroll counters, contact forms, buttons, icons & much more. From showcasing portfolios to selling products Divi can handle every aspect that you will need. Its multiple layout concepts will help you to create completely eye-cache website for your business. Who don’t want to get maximum good impression, you might also right? By using Divi you can get that easily. Its powerful theme option panel will help you configure all the require settings like fonts, typography, page layouts, colors & much more. SolarWind comes to play with photography projects. It’s not only look modern also designed minimalist concept in mind. So if you like clean & simple design but modern you can choose SolarWind. Your creative photographs deserve beautiful presentation which can be done perfectly through SolarWind theme. It’s offering multiple ways to showcase photos. All the layout design is modern & looks great. You will get multiple slider option where you can introduce your beautiful works such as standard slider, ribbon slider, filterable gallery style, masonry style, striped style etc. All these layouts are perfectly responsive which means your website is going to look fantastic on every devices. You can even publish photography related or any other articles in the blog section. For doing this you can use the pre-made page layouts like fullwidth masonry or with sidebar. If you have any other portfolios & want to showcase them then don’t worry, SolarWind is integrated with beautiful portfolio layouts & the best part of this section is that it is integrated using Ajax functionality which lets you display portfolios in filterable gallery with load more feature. With SolarWind you can even create professional shop because it packed with all the WooCommerce custom design pages. For your information in case you don’t know, WooCommerce is the most popular e-commerce solution for WordPress powered sites & used by millions of websites. It lets you integrate completely functional online shop within your WordPress site which through you can sell anything you want like products, services etc. Do you like grid layout styles? If yes then you can try Gridera theme. It suits its name. You will find variety of layout concepts in this theme & most of them have grid style. Gridera will be perfectly suitable for those who have lot of portfolios or finding a theme where they will be able to showcase their contents with various filterable gallery options. Gridera pre-packed with some excellent premium extensions that will help you in creating unique & attractive layouts. These extensions are revolution slider ($19), essential grid ($26), Visual composer ($33) etc. The good part of this theme is that all these premium extensions are free. You don’t need to pay for those which means you will pay $59 whereas you will get $78 worthy plugins plus the theme. You can use the pre-made 20+ demos for getting your site live instantly. This theme supports one-click demo content installation feature which through you can easily install your chosen demo content in order to look exactly like that. Your website will look excellent on every kind of devices because of the responsive technology integration. So you don’t need to worry about your small devices visitors. One-page & multi-page both type of layouts you will have for setting up your website. Not only that, Gridera offers unlimited color variations that will help you introduce your business uniquely. It doesn’t matter how many users are using this same creative WordPress theme. You can even choose other layout types such as off-canvas, sidebar, overlay menu & as well as standard. Selling products & services with this creative theme will be easy. Because it supports WooCommerce. For displaying products uniquely it has integrated multiple style custom page templates for WooCommerce shop. Your products also can be displayed in filterable gallery. All the theme settings you can configure through the theme option panel. Here you can setup all the require theme settings, you can choose your own style also like fonts, theme colors, logo, menu & lots more. Grafik will be perfectly suitable for creative agencies & individuals. It’s a multi-purpose WordPress theme that offers amazing features. Grafik looks minimalist, modern & creative. If you’re a creative individual or a creative firm & looking for WordPress creative themes then you should try Grafik. You will have huge layout options for showcasing your creative works, even you can design your own layout with the custom project option that is available in the theme setting panel. You can use the pre-designed beautiful & clean page elements or can create your own with the visual composer. It’s a premium drag & drop page builder plugin that offers 80+ built-in components which will allow you to create unlimited unique & attractive pages in drag & drop interface. Don’t worry, you don’t need to purchase this excellent extension separately. Because it’s pre-packed with this theme for completely free. Not end yet, for creating attractive & awesome sliders you can use another awesome plugin which is slider revolution ($19). It also a premium extension & have huge popularity in the WordPress world. Revolution slider lets you create unlimited slideshows which you can use in any posts & pages by using its shortcodes & widgets. You will get it also free with the purchase package. Now these days, most of the premium theme comes with some pre-made demos, so you can save your time by using one of them. In those demos theme authors are including pre-made slider templates for different pages. So you will be able to use them for other pages also or can create your own one. It’s another amazing multi-purpose theme which through you will be able to create various kind of websites. Who don’t want to introduce their business or works creatively, Salient is just made for doing that job. It offers excellent design quality which looks clean, modern & obviously creative. From displaying portfolio to e-commerce Salient can handle every job. You can sell your works directly through your website by using WooCommerce plugin. This theme offers custom design pages for that. Creating pages from scratch is tough & can kill your lot of time. So for that you can use one of the pre-made demos & after that you can change the contents with yours. The one-click demo installation feature lets you install the demo content without any hassle. Your website is going to look beautiful on every devices if you choose Salient to create your website, because it’s fully responsive & offers retina display support. This theme comes with built-in theme option panel which looks very interesting. The setting options are not only looking good but also easy to use. Each panel integrated wisely, so you can understand the theme setting flow easily. You will be able to change every single aspect of your website from there such layouts, fonts, logo, colors & many more. You will have the drag & drop visual page builder for creating unique & beautiful pages by your own. 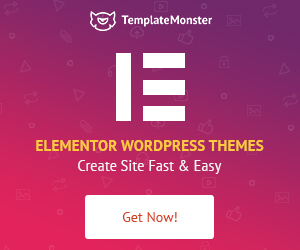 Over 80+ pre-built component available with this excellent plugin & yes you will get it with Salient creative wp theme for free, though it’s a premium extension that is worth $33. With over 100+ pre-made demos Bridge multi-purpose theme came up. So you will not need to create pages from scratch. You can use the demo data in order to look exactly like your chosen demo. Though, you can always create pages from your own but it can take lot of time. We recommend if you found any demo that suits your business then you should install that. This way you can save your valuable time which you can use to grow your business. Another thing, you will get auto theme updates, so again it can save time. Updating themes manually looks like odd these days. Most of the premium theme author doesn’t offer auto update, only quality themes are providing this feature & with Bridge you will get that. Bridge also offers some premium extensions like visual composer & slider revolution. Both are excellent plugins & have great reputation on the web, especially in the WordPress community. These plugins help users to create pages & slideshows on fly. Both offer drag & drop interface, so you don’t need to know any programming languages in order to maintain those functionalities. This theme get huge popularity & got huge sales because of its vast features. For introducing page elements it integrated with two different icons pack, has beautiful css3 animations, parallax effects, various header options, 24+ layout concepts, sticky/fixed header, parallax effects, video backgrounds & much more. Not only that, the menu comes with various options like mega menu, left menu, fullscreen menu etc. This theme designed & developed especially for architect & interior design companies, though it can be used for any other creative purposes. It looks simple, minimalist but modern & offers responsive design layouts which means your website is going to look excellent on every screen sizes with Interior Design theme. Your beautiful works can be displayed in two different ways such as masonry & grid. Both are modern layout concepts. You might need e-commerce integration for selling your stuffs. WooCoomerce is the solution for doing that job smoothly. This creative theme is perfectly integrated with it, so you don’t need to worry about that. WooCommerce provides some excellent ways to manage online store. You can get paid through various payment methods such as credit cards, Paypal, wire transfer & as well as others by installing extra extensions. Blogging is a powerful weapon for getting more visitors & you can use that by publishing regular blog articles about your niche. Interior Design comes with beautiful & modern blog page layouts. Your articles not only can be displayed nicely also will be easily readable for its excellent typography. Though you can change the default typography with yours. Over 650+ Google fonts you will have for doing that. Do you have an awesome creative team? Want to showcase their full profile? Go ahead, because this theme integrated with a custom post type especially for showcasing team members with their entire profiles such as circle counter, designation, social profiles, description etc. If you don’t want to create multi-page website, no problem, you can use the onepage version. Interior Design offers both multi-page & one-page versions. The color changing possibilities is unlimited, you can choose any color that your business suits by using color pickers. Luisa is perfect for creative agencies & freelancers. It has clean, minimalist & modern design concept that will allow you to showcase your creative portfolios in such a nice way. Two different ways you can use to display your amazing works such as isotope gallery & masonry. It’s fully responsive & provide supports for retina display. Are you doing a business related to any creative industry & looking for a creative design WordPress theme? You should take a look at the Kreate theme. It builds for creative business purposes. It offers drag & drop visual page builder & revolution slider. Both are premium plugins & offer excellent features which through you can create unique page layouts & unlimited beautiful slideshows. It’s fully responsive & supports retina display. 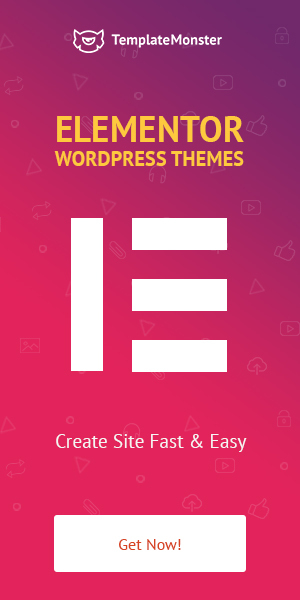 All the theme options are available in the theme option panel from where you can configure your website settings like fonts, colors, header types, logo & much more. Some useful custom widgets included for presenting your social links like Instagram feed, Twitter feed & a latest post widget. Do you have some awesome works which you have done already? Want to showcase them? Kreate lets you introduce your creative portfolios in various ways such as masonry, list & gallery. The filterable functionality lets your visitors filter the right one that they want to see before contacting you for their project. In the portfolio details page you will be able to implement different type of content blocks like static image, slider & much more. The design of this theme looks excellent, has modern technology integration. You will get two different kind of header styles with attractive overlay menu. All the elements look pixel perfect & clean. Brooklyn is a popular onepage theme that designed & developed for multi-purpose uses. It comes with 13+ excellent pre-made demos which will help you getting your business online asap. It can be used for creative agencies, travel, web design agency, nonprofit & much more purposes. The entire design is responsive which ensures multi screens compatibility. Brooklyn is fully translatable, you can turn your website into any language you prefer by using WPML plugin. You will be able to create unlimited beautiful slideshows by using the premium revolution slider which is completely free with this wp creative theme. Brroklyn looks very professional, clean & modern. It is integrated with unlimited color functionality. You can choose any color you like for your business. Every option is customizable. You will have advance theme option panel where all theme settings are available like font settings, font sizes, colors, layouts, header styles & much more. Do you have any video for your business promotion? If yes then you can upload that video in YouTube & use in various ways into your website. Brooklyn allows you to implement videos as a section background or fullscreen background. Besides, you will have portfolio management system which through you can showcase your excellent works in filterable gallery & carousel slider. Tons of shortcodes available to implement different page elements along with a shortcode generator. For onepage website seekers Accent will be the right choice. It developed especially for onepage websites. It’s a multi-purpose WordPress theme that will be perfectly suitable for business, creative, agency & others. Accent provides simple, clean & creative design concepts, included with 11+ pre-made demos with all the required blog pages. It’s fully responsive & designed using HTML5 / CSS3. The design looks beautiful, professional & each component has pixel perfect. Obviously you can implement your own design in case you don’t like the demos. You will have lot of elements to create your own unique styles. Accent is integrated with modern menu which you can display three different places into your website such as top right, top center & side menu. Each one offers multi-level menu. If you’re a developer & familiar with SASS then the customization part will be more easy for you because of the SASS integration. You can change element colors, fonts, positions & many more by using that. Besides you can use the theme option panel where all the other theme settings are available to configure. Roua looks excellent, will be perfect for those who need a clean & minimalist design theme. It’s designed for freelancers, designers, creative agencies & as well as portfolios. Do you have any products or services for sell? Go ahead, Roua is WooCommerce ready theme which means you will be able to sell anything by using that plugin. This theme provides all the necessary custom design shop pages. The shop layout design looks very clean & fresh. The layout styles have unique design concepts. For portfolio & product focusing websites Roua will be the perfect choice. It packed with premium revolution slider which lets you create unlimited beautiful slideshows which you can use to display your products, discounts or other important story lines. Your portfolios can be showcased beautifully through the unique portfolio layout where you can display a featured image of your portfolio along with some other screenshots & sticky description. Your website will be looking excellent on mobile & other devices. The responsive technology helps your website to optimize automatically on various devices & it’s perfectly integrated with Roua. Zero is another excellent theme that comes for business, blog & magazine websites. It packed with 8+ pre-made demos which you can use to create your website exactly like the demo. Two awesome premium plugins you will get with this creative theme which are revolution slider & visual composer. Both plugins offer drag & drop visual interface to create sliders & unique layouts. You can use 80+ excellent shortcodes / components to create your own style layouts using the Visual Composer. Having an attractive slideshow is a really useful because you can introduce your products, contents & story lines. The slider revolution lets you do that very nicely. Zero is responsive, can adapt automatically on every devices. The live customizer helps developer’s to implement theme options seamlessly. Not all but most of the WordPress theme now these days comes with live customizer integration for managing theme settings. It allows users to change or edit theme features with live preview, so they can see the changes before publishing. WooCommerce is now a must have integration for websites. So that people can start selling their stuffs at any time. This plugin integrates all the online shop functionalities into WordPress sites & offers very easy shop management interface which through you will be able to manage all your products & customers easily without having any advance knowledge. Zero is perfectly integrated with WooCommerce & provides all the shop pages that you will need for creating your beautiful & modern shop. Doesn’t matter which languages you want to apply on your website for covering maximum customers. If you ever need to make your website multi-lingual then you can do that smooth by using WPML plugin. This theme is fully translatable & supports multi-languages. Kalium is one of the popular WordPress theme which comes with excellent user friendly features. It offers unlimited customization options for posts & pages. From showcasing portfolios to e-commerce Kalium can handle every part of your business. Your startup deserve an awesome presentation & Kalium can help you with that. By using this theme your entire business model can be introduced creatively. You will have all the controls for managing your all contents like articles, portfolio’s, shop & others as well. It integrated with built-in theme option panel where you will find theme configuration options such as fonts, font sizes, colors, layout options, enable / disable options & much more. Kalium included with some awesome WordPress extensions which made this theme more advance & powerful. Creating pages will be simple because of the visual composer. Yes you will have that powerful premium drag & drop page builder plugin which comes with built-in 80+ shortcodes & components. Not only that, slideshow is a fantastic way to present featured contents. You can get most of the attention from your customers by putting beautiful & attractive slideshows. For making your online presence more easier Kalium includes 2 most popular WordPress plugins for creating unlimited slideshows such as slider revolution & layer slider. These extensions let you create unlimited beautiful sliders & yes both provide drag & drop interface like visual composer. So no coding skills required on your part. The entire design looks clean, modern & minimalist. All kind of modern design concepts & technologies you will find in this theme that will help in introducing your startup more attractively. Creating pages from scratch can kill your lot of times, for saving that the theme author is adding more demos regularly with new updates which you can use to create your dream project instantly. Using demo content is always recommended because those are created with niche research by theme author. You can install the demo data by using one-click installation feature & after that can edit those contents with yours. Don’t like the default color set? No worries, Kalium wp creative theme lets you customize each & every single aspect of your website. The feature rich admin panel included with all the setting options that you will need when you want to change something for looking unique. Though Kalium got huge sales which means lot of sites are already using this awesome theme but it doesn’t matter, you will have all those options in order to look completely unique. Benz is excellent, it comes for multi-purpose uses. You can create various website by using this awesome WordPress multipurpose creative theme. It includes some fantastic premium extensions that will add extra layer of features into your WordPress site. These extensions are revolution slider, visual composer & the ultimate add-on. All are popular & provide drag & drop functionality for creating page contents & beautiful slideshows. You don’t need to be an expert for creating unique & modern pages. The visual composer lets you implement different kind of components into posts/pages & the most interesting part is you can create them without massing with codes. It’s drag & drop interface will allow you to build contents visually. Revolution slider also will give you the same kind of interface which through you will be able to create unlimited sliders visually. Selling stuffs will be easier with Benz. Because it perfectly integrated with the most popular WordPress e-commerce solution WooCommerce. It provides excellent products management dashboard within your WordPress backend from where you can easily maintain your products or services for selling online. Benz packed with all the necessary WooCommerce pages like cart, checkout, products category, product details etc. All these pages have custom design according to the theme. It’s fully responsive means your website will be 100% compatible with small devices. All your site elements will be automatically optimized, so small devices visitors will see every content perfectly. This is very important as Google said, having responsive design is must if you want to get rank in SERP for small devices. If you’re expecting visitors from different devices then you don’t need to worry. Your contents will get all the serp benefits because of the responsive technology integration. Benz provides extensive customization options. All the options are included in the theme option panel where you can configure your require settings for your website. You can change fonts, font sizes, layout style, logo & much more. Color possibilities are unlimited. You can choose any color you like for your project in case you don’t like the default one. Not only that, Benz included with 15+ pre-made professional demos that you can use to create your website instantly by using demo data. RokoPhoto designed especially for photographers who want to create a modern & stunning website for showcasing your creative photography. It features a fullscreen slider where your featured or selected works can be displayed with bold title. It’s an onepage scrolling niche WordPress theme that comes with responsive design, portfolio gallery with pop-up preview. Oshine landed for helping people to create awesome portfolio & photography websites. It included with all those features that a portfolio & photography website need. You can use the pre-made 18+ excellent demos for getting your project live instantly by using demo content in order to look exactly like your chosen demo. Oshine provides built-in custom drag & drop content builder which also offers visual preview in the backend, so you can preview your content how your content looks like before hitting the publish button. The advance theme option panel included with all the theme configuration settings where you will be able to set your own configuration or use the default one that comes with demo content. Oshine looks modern, clean & minimalist. From showcasing portfolios & creative photography this theme will help you in every single aspect that you will need for your project. 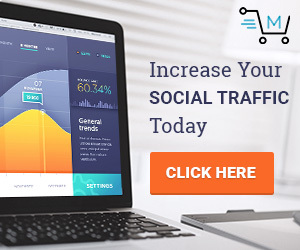 It features the premium master slider which is an awesome slider plugin that allows users to create modern unlimited sliders for using in posts/pages. Blogging is a powerful tool that you can use to grow your business online. For doing that task fantastically you will have multiple style blog layouts like small/medium/large thumbnail, masonry, grid etc. The parallax & video section you can use to catch your visitor’s attention for getting more conversation. This theme is fully translatable which means you can integrate multiple languages in case you need by using the most popular multilingual WordPress plugin WPML. For minimalist & clean design lovers Yaga will be perfectly suitable. It comes with excellent design, the typography & page elements look simple & clean but modern. Yaga features filterable portfolio gallery with multiple page layout options. You will be able to showcase your all creative works fantastically using the masonry & grid styles. 5 different homepage variations you can use to create your site, you can even create your own one by using drag & drop page builder. Some beautiful & unique hover effects & animations are available that are created using css3 technologies. Lot of page components are pre-packed for you which you can use to create your pages such as divider, columns, buttons, tabs, image gallery & much more. Do you want to sell something through your website? Go ahead with Yaga, it included with all necessary WooCommerce pages which have custom designs according to the theme. All theme customization options are integrated in the WordPress live customizer which is now recommended by WordPress.org itself. So you can see the changes that you’re going to do in live before publishing. Some useful options which you might want to know like sidebar position, custom logo, Google & custom font, custom colors & much more. It offers one-click demo installation functionality which will help you to install the demo content by just one click in order to look exactly like the demo. Alona is another excellent creative WordPress theme which landed for showcasing portfolios in such some nice ways. It will be best for creative individuals, agencies, designers, freelancers & as well as other creative purposes. Over four different types of portfolio layouts Alona supports like horizontal, vertical, grid & project. For displaying project photos you will have various options like image stack, slider and video presentation. Two types of icon fonts such as font awesome & tidy included which you can use to present your content more attractively. Alona designed using the most popular frontend framework Bootstrap which also ensures about the responsiveness. Your website will look fully optimized with Yaga theme because of that. Selfie designed & developed especially for CV, resume & personal portfolio websites. It supports onepage smooth scroll, so your visitors can jump one section to another easily by using the sticky menu. Selfie packed with some advance WordPress plugins such as drag & drop visual builder, revolution slider & layer slider. All these plugins are premium & offer extensive features which through you will be able to implement various components into your pages. No need to have any coding knowledge. You can build your own design visually by the visual composer. The revolution & layer sliders let you create unlimited amount of slideshows that you can put into your pages or post. This theme included with 30+ pre-made demos & all have modern design which can make your online presence more professional & attractive. Selfie based on bootstrap framework & offers responsive layouts which means in various device screens your website is going to look awesome. By using the color setting panel you can choose any color you think will be excellent for your website. Pile is a WordPress theme that built for especially portfolio websites purpose. From creative agencies to individual Pile can be your right choice if you don’t want too much features except portfolio & other necessary options. It offers drag & drop custom page builder, so you can create your own styles without massing with codes. Theme setting options integrated in the live customizer & this will help you to preview the changes before going live. You can change your site icons, font, font sizes, layout options & many more. Besides you will have a theme option panel where all other theme settings like enable / disable options, Ajax loading & other general settings. For giving you more flexibility Pile supports WooCommerce plugin very well. By using that awesome tool you will be able to sell anything you like directly from your website. Inverto offers super minimalistic design & it will be best for showcasing portfolios. If you’re looking for a WordPress theme especially for displaying your artworks & don’t want to have useless extra tons of features then choosing Inverto will be your right choice. Design quality quite impressive. All the contents look beautiful & pixel perfect. You will have three different ways to showcase your works such as masonry, gird & metro. The color possibilities are unlimited. In the theme option panel all the theme settings are available to configure. Inverto also packed with the premium drag & drop page builder visual composer which provides 80+ excellent useful component to build unique pages. The theme included contact form 7 so that your visitors or clients can communicate with you for further assistance. Koncept built based on minimalism & simplicity concept in mind. It offers masonry gird style to showcase portfolios. Not only that, you can even sell your products or services by using the WooCommerce plugin. This theme is perfectly suitable with that & packed with custom design shop pages. Over four different navigation styles Koncept has included with such as overlay dropdown menu, off-canvas menu, toggle menu & standard menu. Your website will look excellent on every devices. It’s fully responsive & retina ready. Doesn’t matter which devices your users are using, all your page contents will be optimized on every devices. Theme options are available in the live customizer which lets you see the changes before hitting publish button. Outdoor will be perfect for those who want to introduce their creative works in modern & fancy ways. It’s actually best for photography & portfolios. The design looks creative, clean & beautiful. Lots of ways you will have for creating your homepage such as slider, thumbnail gallery, carousel slider, shop page & others. Another profitable part of this theme is it has two excellent premium extensions which are visual composer ($33) & slider revolution ($18). These extensions will add extra power to your WordPress site. You will be able to create your own unique pages using visual drag & drop page builder. The revolution slider will let’s you create unlimited amount of beautiful slideshows for using into posts & pages. Outdoor is totally compatible with WooCommerce. It included with all the shop pages that you will need for creating your online store. All have custom design. As a portfolio theme Outdoor offers five portfolio archive page layouts along with 9 portfolio detail pages. The entire layouts are responsive & has retina display support. So you don’t need to worry about how your website is going look on small devices. All your contents will be automatically adapted. Corpus is a modern WordPress theme that looks clean, creative & professional. It included with visual composer & slider revolution as well. Both are premium & offer drag & drop interface to build creative pages on fly. It’s a multi-purpose theme which means you can create any website you want like corporate, creative, portfolio, freelancer, designers & many others. Corpus included with custom theme option panel where you will find all the theme configuration settings like fonts, logo, layout options, colors & many others. It supports one-click demo install it means you can install the demo content by just one click in order to give your website exactly look like the demo website. You will get onepage & multipage both versions, so if you don’t have extensive contents to explore then you can use the onepage versions instead. This will help you to display all your project or business or other information’s in one page. Do you have any portfolios or any other stuffs which you might need to showcase for introducing to your clients? If yes then no worries, you will have that feature which through you can showcase your portfolios fantastically. Some excellent filterable gallery layouts you can use for that like masonry, grid, full-width & carousel along with beautiful hover effects. Splendid is another awesome multipurpose WordPress theme that comes with 22+ pre-made homepage layouts. You can build any website you want such as magazine, shop, portfolio, one-page & vertical. It also offers box & wide layouts along with dark & light versions. You will have extensive color customization options for giving your site a unique look. For portfolio’s Splendid will be perfect because it offers some cool features especially for that. Your portfolios or creative works can be displayed in various ways. Over 10 different portfolio layouts available. Splendid lets you create professional online shop within your website which through you will be able to sell anything & get paid via credit cards, Paypal, wire transfer & as well as other payment getways. For giving your more flexibility it includes multiple page layouts such as full-width, with & without sidebars along with two different product details page. No coding skills will be required for creating custom design pages. You can create your own design pages using the visual drag & drop page builder plugin which is included with this theme for free. Not only that, another $19 worthy premium slider revolution plugin also available with Splendid which lets you create unlimited slideshows with amazing effects. Both offer drag & drop interface, so you don’t need to know any programming knowledge. It doesn’t matter how many users are using this theme, you will get lot of header variations which will help you to create a unique online presence for your business. This theme has simple & clean designed layout concept. It provides only some necessary functionalities that you can use to display your portfolios, your team members, about your business, services & many others. The blog section supports some post formats such as standard, gallery, video, audio etc. Your website will be responsive & touch / swipe friendly. All the contents can be accessed easily from mobile devices. It supports sticky navigation, mega menu & dropdown menu. Two excellent premium component you will get such as visual composer & slider revolution. Both provide awesome drag & drop content builder features. So you don’t need to know any programming languages to create layouts & sliders. Avada is an all-in-one solution for WordPress. You can build any website you want with this multi-purpose theme. It is including new demos with every update for specific niche sites which you can use to getting your website online instantly. Avada provides built-in drag & drop fusion page builder which lets you create unique & attractive pages on fly. Creating online shop will be easy with Avada because of the WooCommerce integration. It perfectly supports WooCommerce & provides various ways to display products & services for selling online. Lot of layout concepts you will find in this theme. Not only that, you can choose your header style from its pre-made 5+ different header layouts. As a multipurpose theme Avada has huge setting options & all of them are available in the theme option panel. You can configure every single aspect of your website from there like color management, typography management, layout management & much more. A toolkit is integrated which lets you use some excellent functionalities like drag & drop builder, shortcode generator, mega menu etc. It supports contact form 7, gravity form, the event calendar & other popular WordPress plugins as well. With avada your website will be looking excellent on every devices. All the components & elements are automatically adjustable. Avada comes with some premium extensions which made this theme more powerful & attractive such as slider revolution & layer slider. Both are excellent slider plugins & offer drag & drop interface for creating unlimited beautiful slideshows where you will be able to showcase your storyline or featured contents. Empire will be perfectly suitable for freelancers, graphic designers, creative individuals, photographers & as well as other creative purposes. It’s a fullscreen WordPress theme that especially developed for portfolio purposes. It supports one-click demo install which means you can install the demo content by just one click & after that you can change the demo contents with yours. This is the fastest way you can follow, otherwise creating pages from scratch can take lot of time. Do you like parallax effects? If yes then Aeris can be your nice pickup. It’s a parallax WordPress theme that comes with onepage & multi-page versions. It offers five different header types for giving you the options to make your website unique. You will have unlimited color variations to choose from. For displaying portfolios it included a filterable gallery with lightbox integration, so your creative works can be displayed through that nicely. If you like simplicity & want to introduce your awesome works in simple way then you can choose Bigbang. It comes with a featured slider where your most important contents can be displayed. Not end yet, the filterable gallery lets you showcase your creative artworks nicely. The prettyphoto plugin also integrated with the filterable gallery, so your clients will see your works more efficiently. The entire design is responsive but do not support retina display. Hazel is another awesome multipurpose theme & comes with lot of pre-made demos for saving your invaluable times. The design quality quite impressive & has responsive layouts which means your website never break on small devices. All the page elements will be automatically adjust on any screens perfectly. From portfolio showcasing to e-commerce Hazel can handle every aspect that you might need for your startup. You will have multiple options for displaying your creative works along with all custom shop pages which through you will able to easily sell your products & services. Blogging is a powerful tool for every business, you can also do that for getting more clients. Hazel packed with multiple blog layouts like list & masonry etc along with multiple single layouts. Over 30+ custom shortcodes are pre-packed such as columns, buttons, toggles, tabs, accordions & much more. For displaying featured contents you will get a premium slider extension which is layer slider worth $15. Lydia lets you create completely professional, clean but modern photography & magazine websites. It offers some excellent features for those purposes. Your portfolio’s can be displayed in various filterable gallery. You can even use the onepage version which seems section by section divided means you can display your photos or portfolios section by section. If you want to see larger preview you can click on each item, each will open in pop-up modal gallery. Besides photography any kind of magazine sites can be also created using this creative WordPress theme. You can use post formats to publish videos, audios, gallery, standard & other post types. If you need to make your website online asap you can install the demo contents that comes with nine different homepage layouts. For giving you more control over your pages Lydia includes two excellent plugins which are revolution slider & visual composer. Both are premium & offer awesome interface for creating beautiful slideshows & pages. Exa looks clean, fresh & minimalist. It designed & developed for portfolio & blog sites. It’s not offering huge features but if you need a portfolio focused niche theme for showcasing your works then Exa can be your nice pickup. This theme will be suitable for startups, creative agencies, freelancers & as well as other creative purposes. In the live customizer panel you will find all the theme configuration options which through you can edit or change your site preferences nicely. If you’re planning to start blogging then you don’t need to worry because Exa included with beautiful & clean blog layouts with 6 post formats which means you can publish various types of contents like video, audio, gallery, standard & others. You will get multiple grid & column style layouts for both blog & portfolio. All the layouts based on bootstrap framework which ensures about responsive design. Be Flatty is a WordPress theme that will help you to showcase your portfolios & other information’s in a modern way. The filterable gallery with pop-up image preview lets you introduce all your awesome works seamlessly. Not only that, it features a fullscreen slider where you can display your story lines with attractive background images. Other useful pages such as testimonials, contact, about us & faq etc are included. If you need a simple but modern & creative website where your company products, services, portfolios will be introducing nicely then you can choose this WordPress creative theme. It’s fully responsive & support HD screens. You don’t need to tense about your mobile visitors. All of them will see your site fully optimized.